O Lord, it's Nepal. What is happening there, You know best. How do I exalt you in the midst of news like that? Can the wounded be lifted out of the depths? 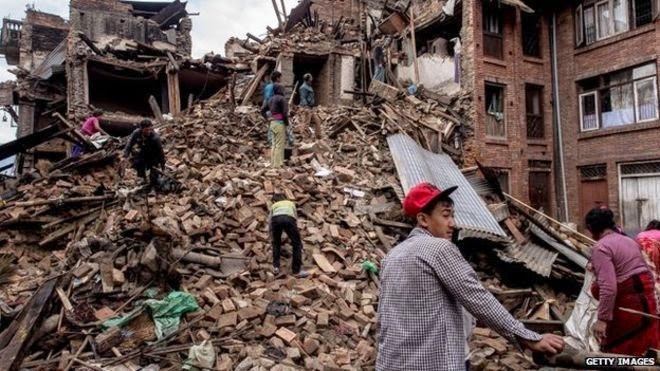 Did the people of Nepal do something wrong to deserve all this disaster? There is so much suffering and pain over there now. Lord, do something! Let there be miracles in the midst of tragedy. Let there NOT the enemies of Nepal, wherever they are, gloat over the tragedy of Nepal. Lord, You are able to help. Bring forth your compassion through the efforts of the nations who have pledged help. Enable them to send their best. Bring them from afar. Enlarge the capacity of the Nepali infrastructure to cope with the increased demand. Encourage the rescuers with good news. Heal the hurt. Strengthen the rescuers. Spare more lives. Let there be survivors who would call out, cry out, and shout aloud their location. Prevent more people from going to the pit. "4Sing the praises of the Lord, you his faithful people; praise his holy name. Lord, let your people continue to praise you for you are Maker, Creator, and Sovereign God. Enable your people to serve you continually with fervour and hope. 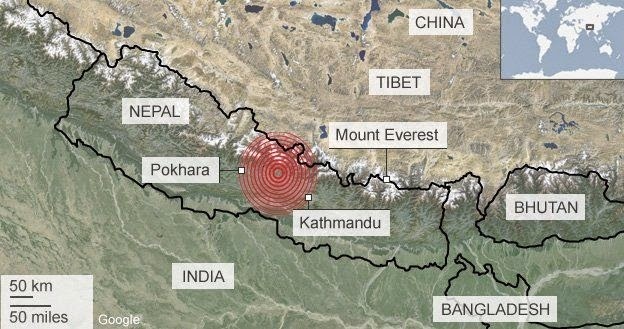 The anger of the earth that shook Nepal will never be bigger than your favor. The earthquake will never shake your eternal hope. The aftermaths will never be deeper than your deepest angst. The tragedy will never run farther than your love. For now, there will be much weeping. We look toward the hope of tomorrow where there will be much rejoicing. Lord, this earthquake reminds me that earth's security is limited, earth's treasure is small, and earth's promises are temporal. You however, is are eternal security, abundant treasure, and everlasting promises. You are faithful and you extend your favor to anyone you choose to. You keep your covenant and promises to all mankind. When you are with us we shall stand. When you are not with us, we will eventually fall. Stand with us, Lord. Stay with us. Strengthen us. We need you. 9“What is gained if I am silenced, if I go down to the pit? Lord, we call out to you. Hear us. Hear our cries. Hear the pleas of the people of Nepal. Hear the hearts of the rescuers for mercy, for comfort, for precious lives. So many people have died. More are missing and presumed dead. The longer it drags, the worse it becomes. What is gained if the people who are buried, remained buried? What good is it for survivors to cry out but there is no one near to listen? What good is it for rescuers to know where to help but lack the tools to help? Can the many who are dying bring about praises to you? How can the people know of a faithful God in the midst of tragedy? Hear o Lord, Hear. Your Name is eternal and precious. Be the help of Nepal now! Lord, let us stand in your promises, that it is not simply a singing of that wondrous hymn but a true fulfillment of your everlasting love. You will remove our sackcloth of mourning, to dress us with joy, to fill our hearts with praises. You will not be silent in the midst of tragedy. You will bring about goodness and health, help and hope, healing and love during this time. Lord, help us not to be distracted by questions of why but to respond with compassion of what and how.